While I don’t want to get totally sentimental on this sunny Friday afternoon, I did want to at least let you all know. You see, this site really is driven by all of you. 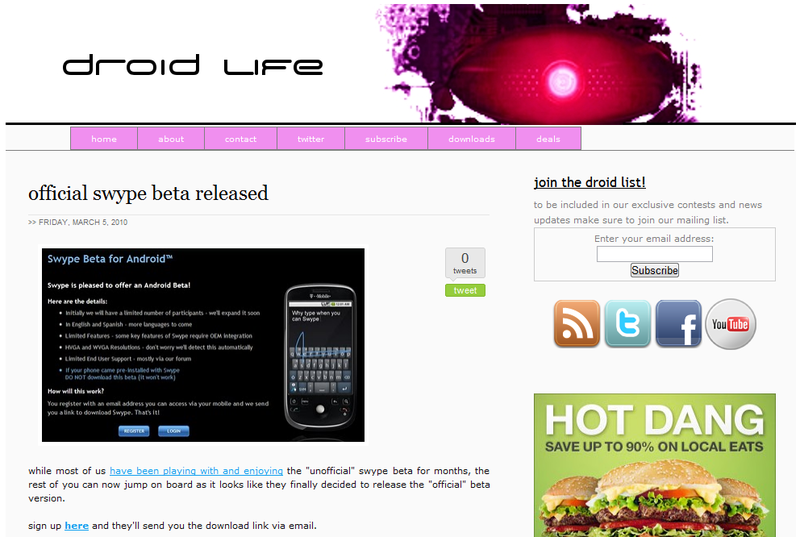 You are easily the best community of Droid/Android enthusiasts on the planet and I will argue that with anyone. The collection of personalities, knowledge and humor have given this site an identity, but most importantly, have helped it grow into something that I feel is very special. How many sites can say they had a single post hit 1,700+ comments? It’s been amazing to watch so many people come together as a group of strangers, then form friendships, give advice, technical support and show so much care for one another that they can consider themselves a “family.” Pretty special stuff, indeed. I’m just happy that I could provide a place for it all to happen. Now, I know it’s not happy hour here on the west coast just yet, but you can bet when it hits that I’ll be raising a glass to all of you. Thanks everyone. Here’s to all of the fun we’ve had over the last year and to so many more going forward! Oh, and if you want a good laugh, take a look at the old site which is still standing. Yikes!